The purpose of this activity is for students to learn the fundamental concepts of zone defense in basketball. Related NY State Academic Standards: HPF.PE.I.1.1.A, HPF.PE.I.1.1.B, HPF.PE.C.1.1.A and more! Be sure to check out our Educational Resources, featuring thousands of activities, lesson plans, constructed-response questions, rubrics, teacher resources, multimedia, and more! In this lesson students will learn about the progress of transportation during the 20th century, including railroads, automobiles, airplanes and space travel. This Web-based Lesson is appropriate for grade level(s) 4. The Constitution: Counter-Revolution or National Salvation? It is Fall 1787. The Federal Convention has recently concluded its closed-door meetings in Philadelphia and presented the nation with a new model for the government. It is now up to each special state convention to decide whether to replace the Articles of Confederation with this new constitution. The debate is passionate and speaks directly to what the founding fathers had in mind in conceiving this new nation. Does this new government represent salvation or downfall? As a politically active citizen of your region, you will take a stand on this crucial issue of the day. Related NY State Academic Standards: SS.E.1, SS.E.1.1, SS.E.1.3, and more! This site offers a description of how to make a mobile, which contains the duties of the president, congress and the Supreme Court using different colors of paper to distinguish each branch and help students remember each. This would be used a review after teaching about the three branches of government. This video, from History.com’s archives, focuses on the history of New Year’s Eve celebrations. Related NY State Academic Standards: SS.E.1, SS.E.1.1, SS.E.1.2 and more! Preparing lessons can be taxing. These FREE Educational Resources–all aligned to NY State Academic Standards–will help students learn how to prepare for tax season by focusing on taxes, tax forms, tips, discounts, and social security. 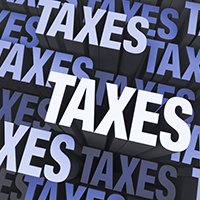 In this lesson plan, students will identify the reasons the colonies fought the American Revolution, describe the meaning of “taxation without representation,” and, explain why the colonies were so angered by British-imposed taxes. Related NY State Academic Standards: SS.E.1.1, SS.E.1.1A, SS.E.1.2A, and more! 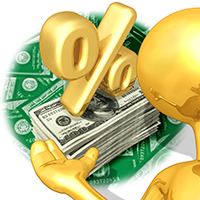 In this lesson plan, students will learn to apply taxes, tips and discounts by using a proportion and a scale factor. 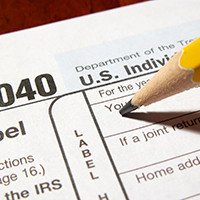 In this lesson plan, students will be introduced to the federal 1040EZ tax form and practice completing the form using an interactive SMART Board. Also be sure to check out our Featured Content Archive, featuring thousands of activities, lesson plans, constructed-response questions, rubrics, teacher resources, multimedia, and more! The NYLearns team is very proud to announce that we have won a third consecutive Stevie® Award for Customer Service. If you’re not familiar with the Stevie Awards, they are the world’s top sales awards, contact center awards, and customer service awards. We won Bronze for the Front-line Customer Service Team of the Year – Technology Industries Category – in the 10th annual Stevie Awards for Sales & Customer Service. This year, our entry focused on our neurotic responsiveness. In other words, our help desk works really hard to ensure that we answer all of your inquiries as quickly and thoroughly as possible. We are very honored to be recognized for our support efforts. We believe that this award is a testament to the high standards our support team holds itself to when providing you, our users, with live support and developing support materials like videos, user guides, or even blog posts. The awards were presented to honorees during a gala banquet on Friday, March 4 at the Paris Las Vegas Hotel in Las Vegas, Nevada. There were over 2,100 nominations from organizations of all sizes and in virtually every industry were evaluated in this year’s competition. Want to read more about the Stevie Awards? You can do that here: www.StevieAwards.com. Do you have a NYLearns help desk experience or suggestion to share with us? We’d love to hear about it. With only 8 weeks between Thanksgiving and January state testing (1/26 – 1/29), you may be scrambling to find resources to help your students prepare for exams. Luckily, NYLearns has the resources you need to thoroughly prep your students for tests. Many of you know that the NYLearns Assessment Builder is the perfect tool for quickly building practice tests from actual past NYS Regents Exam questions to identify target areas where your students need improvement. Once you’ve identified those target areas, you can use the Standards tab to find resources appropriate for strengthening students’ knowledge in those target areas. All of NYLearns’ standards are searchable by keyword and are aligned with educational resources like lesson plans, learning experience/units, e-books, interactive maps, web-based practices, and more. Now that you’ve identified target areas where your students need improvement and used standards-aligned educational resources to strengthen student understanding of that material, it’s time to prep for Regents exams. Check out the Regents Exam Prep Center resource, which helps high school students meet NYS Regents requirements in English, Math, Science, and Social Studies. Located on the Test Preparation page under the Assessment tab, the Regents Exam Prep Center gives teachers and students easy access to the tools needed for success, including lessons, resources, interactive games, and more! Even if your students aren’t testing until the end of the school year, this may be the perfect way to tackle those tricky days near the holidays. Whether it’s to spark student interest, evaluate readiness for instruction, reinforce learning, develop critical-thinking skills, or assess understanding, questions are an essential element in every classroom. That’s why NYLearns makes it easy to align essential questions and assessments to daily instruction with the Curriculum Matrix tool. Curriculum templates can be customized to fit the needs of every district. 1. Determine standards for instruction. 2. Create essential questions that guide learning. 3. Incorporate resources to reinforce learning. 4. Create custom assessments that evaluate understanding. Compose great lesson plans with this week’s free music-themed educational resources aligned to NY State Academic Standards. 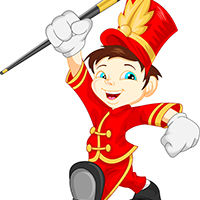 In this activity, students listen to music by the composer Charles Ives, read a short biography of his life, and complete activities based on the Country Band March. 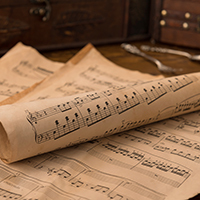 In this lesson plan from Library of Congress, students identify historical events referenced in music; explore pieces of sheet music to identify context, purpose, and perspective; and create lyrics and music covers for an original song illustrating a topic of the Progressive Era. Related NY State Academic Standards: SS.E.1, SS.E.1.1, SS.E.1.2, SS.E.1.3, SS.I.1.3A, and more! In this lesson plan by Illuminations, students calculate terms of a geometric sequence to determine frequencies of the chromatic scale. 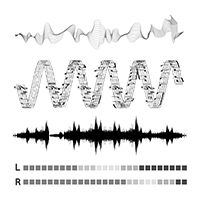 Then they compare sine waves to see and hear the trigonometry behind harmonious and dissonant note combinations. Also be sure to check out our Featured Content Archive, featuring thousands of activities, constructed-response questions, lesson plans, rubrics, teacher resources, multimedia, and more! call 1.800.590.6126, or live chat. Interested in becoming a subscriber to NYLearns? Learn more here.